July 14th in Wordpress Plugins by Wordpress Jedi . There are many ways to monetize a blog. You could always add affiliate links, take advantage of AdSense, or broker your own ad deals. Letting your visitors sponsor some of your articles is certainly an idea worth exploring. 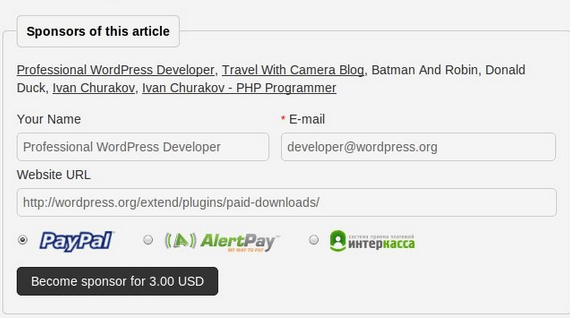 Article Sponsorship for WordPress is a plugin that allows you to add this capability to your blog to earn more money. Article Sponsorship lets you add a sponsorship box to all your posts automatically or manually using shortcodes. You can create, edit and block sponsors if you prefer. Sponsorships can last forever or a limited time. You can also limit the number of sponsors per article (which I suggest you do). Don’t forget to add your T&C box to your sponsorship form. 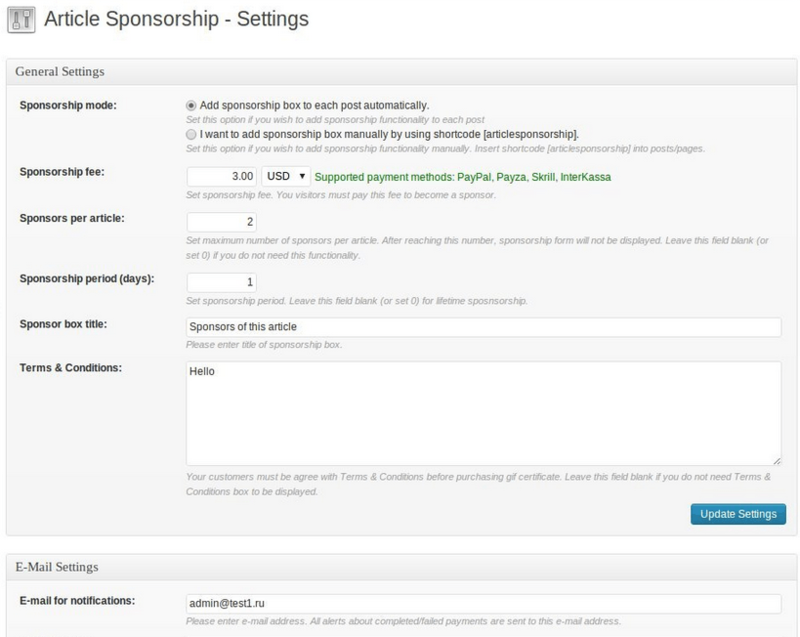 Article Sponsorship supports various payment gateways, including PayPal, Payza/AlertPay, and Skrill. The plugin worked pretty well when we tested it. The challenge with plugins like this is to avoid going overboard. It is worth testing but should not be your only way of making money from your website.